Profile: Sylvester Odhiambo Obong’o has over 23 years working experience working in both private and public sectors. 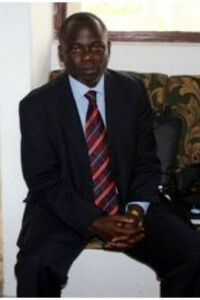 His main areas of expertise are in public sector policy systems and methods and public service performance improvement. He is also keen on capacity building and empowering the society through education. Sylvester has extensive practical experience in sub-Saharan public sector systems and their role in development. He has undertaken several consultancies in the area of public sector reform, leadership and capacity assessment for the World Bank, African Development Bank and Commonwealth Secretariat in several countries in and out of Africa. He has been a recipient of the World Leadership Award on Managing for Development Results awarded by the Inter-American Development Bank as well as being a top 10-finalist in Commonwealth Association of Public Administration and Management (CAPAM) Public Service Innovation Awards. Dr. Sylvester is a British Chevening Scholar. He holds a Bachelor of Arts (Hons) from the University of Nairobi, a Master of Arts (Econ) Development Administration and Management from the University of Manchester (UK) and has completed his PhD (2014) at the University of Newcastle, School of Humanities and Social Sciences. In addition he is a Certified Professional Balanced Scorecard Practitioner (George Washington University – USA), a highly experienced Rapid Results Approach Coach and holds other qualifications in Strategic Planning and Management as well as Performance Management from reputable institutions of higher learning. He has published in peer reviewed journals and contributed a chapter in World Bank Leadership Development Publication.